Cheers to cheap drink and flashy fingers! A little pampering has never tasted this good. With the recession and all, do-it-yourself mani-pedis are suddenly all the rage. But let's be honest, trying to paint the nails on your non-dominant hand is darn near impossible. No matter how hard you try to stay off your cuticles, your shaky, uncoordinated, disgrace of a limb can't help but paint a little outside of the lines. And don't even get us started on waiting for them to dry. Eternity. 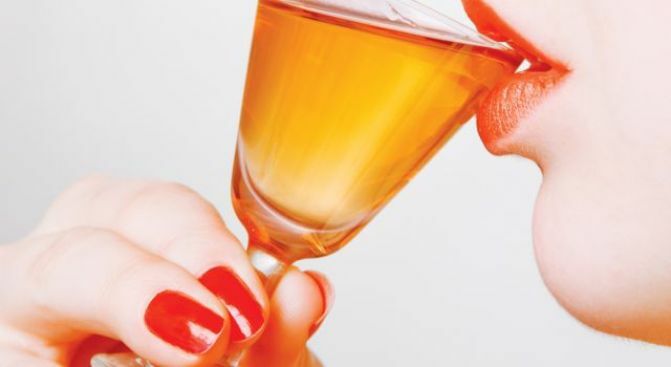 If you have similar feelings, put down the polish tonight and head over to EFN Lounge (1318 9th St. NW) from 5-9 p.m. for Manicure and Martini Night. Let a pro clip, file, buff and paint your nails to perfection. And while neglected fingers finally get the treatment they deserve, use your free hand to indulge in a discounted drink. A mani/martini combo runs a smooth $15, champagne cocktails are an additional $3, and for all you divas, top-shelf drinks are two-for-one. And with 10 percent of sales benefiting RAINN, this little splurge will leave you feeling pleased and polished. Just remember to be patient as they dry. A chip or smudge would be a kiss of death on your now-dazzling digits.